Amos has had some hard luck, but he's not letting it get him down. He was left at a city pound in O'Neill, Nebraska after being given up by his people because they didn't have time for him. The people there adored Amos, but he just wasn't getting adopted. So they contacted beagle rescue, who in turn contacted us. Amos loves his big play yard and his doggie roommates here at HUA. 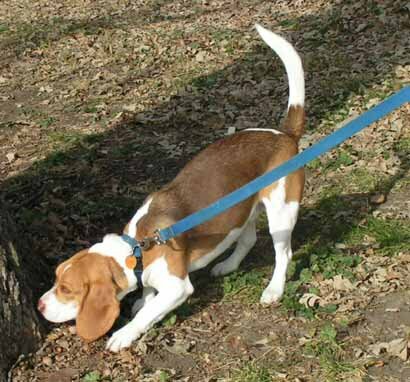 He adores the people who care for him and especially loves his trips to the big community play yards where there are all kinds of fun things for a diligent beagle boy to sniff out!! Amos is welcome to stay here for however long it takes to find him the perfect home. At HUA there are no time limits on making a good match, our residents have nothing to fear. They know that the best is yet to come! 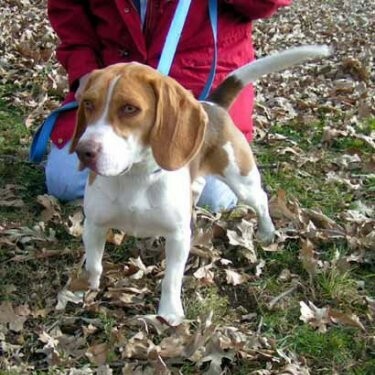 Amos is playful, loving, just a peach of a young fellow. He has good house manners. We nick named him 'Famous Amos' because he loves cookies. He will be a devoted, adoring lifelong friend. 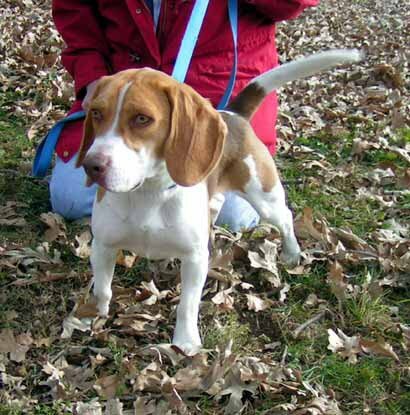 Amos is a male beagle. He weighs approximately 30 pounds and was estimated in November of 2006 to be between one and two years of age.